Addressing the problems surrounding cyber security and cyberspace, this book bridges the gap between the technical and political worlds to increase our understanding of this major security concern in our IT-dependent society, and the risks it presents. Only by establishing a sound technical understanding of what is and is not possible can a properly informed discussion take place, and political visions toward cyberspace accurately map and predict the future of cyber security. Combining research from the technical world that creates cyberspace with that of the political world, which seeks to understand the consequences and uses of cyberspace, Steed analyses and explains the circumstances that have led to current situations whereby IT-dependent societies are vulnerable to, and regularly victims of, hacking, terrorism, espionage, and cyberwar. Two fundamental questions are considered throughout the book: what circumstances led to this state of affairs? And what solutions exist for the future of cyberspace? 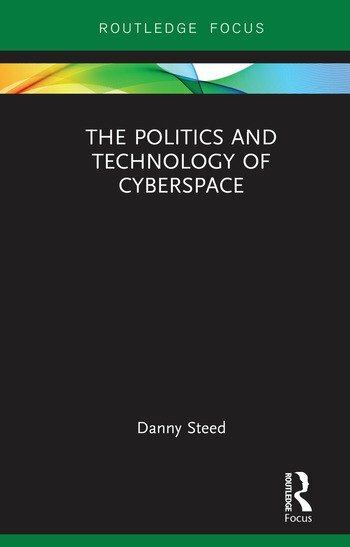 In tackling these questions, Steed also analyses the emergent and increasingly competing political positions on offer to stabilise the landscape of cyberspace. This interdisciplinary work will appeal to researchers and students of Security Studies, Intelligence Studies, Strategic Studies and International Relations as well as cybersecurity practitioners charged with developing policy options. Chapter 1 - What circumstances led to this state of affairs? Chapter 2 - What solutions exist? Dr Danny Steed, formerly Lecturer in Strategy and Defence at the University of Exeter, now works at ReSolve Cyber as Head of Strategy, having previously worked for CERT-UK in The Cabinet Office specialising in cyber security. His research interests include strategic theory, strategic history, intelligence, cyber warfare and cybersecurity.